Finland, a Nordic country in Northern Europe was rated as first in the World Human Capital index in May 2015. Finland has a highly industrialized mixed economy. The top four riches people of Finland come from same family. 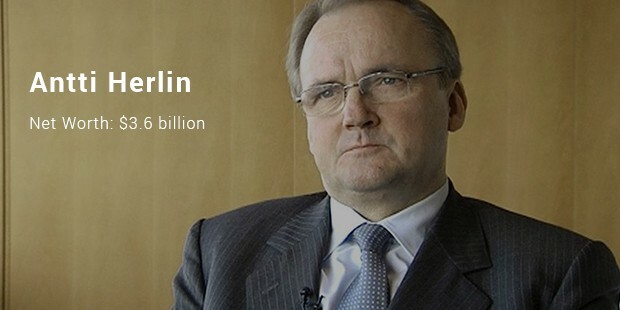 Antti Herlin with a net worth 3.6 billion is the richest person in Finland. He is the chairman of Kone Corporation. Kone Corporation is one of the world's biggest makers of elevators and escalators. 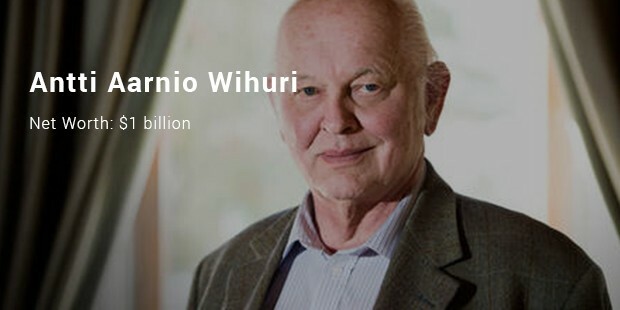 He also holds the following positions Chairman of the Board, Sanoma Oyj, from 2013.
lkka Herlin has a net worth of 1.2 billion, he is the Chairman of the Board of Directors and major shareholder of Cargotec Oy's, a Finnish cargo handling company. 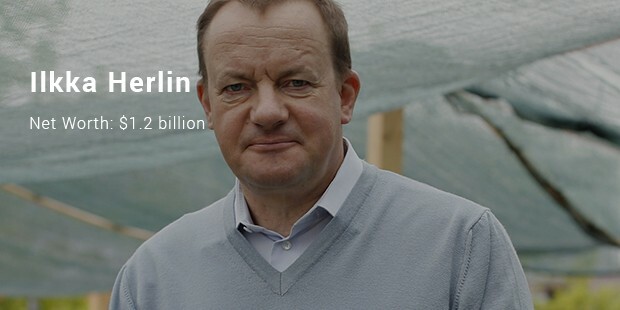 Herlin is a founding member of a Living Baltic Sea Foundation (BSAG) and Chairman of the Board of Directors. In addition, Herlin is also Chairman of the Finland-China Trade Association. Herlin holds a Doctor and historian, who did a dissertation mother, father, philosophy Gustav turn signal light. 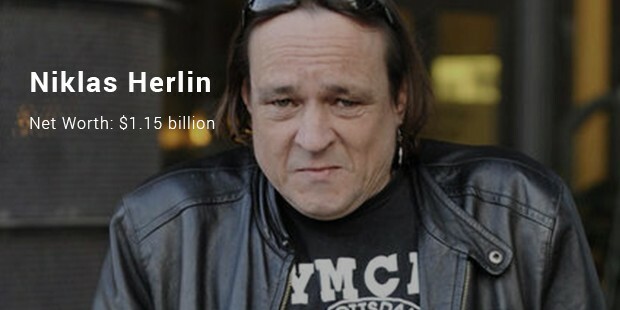 Niklas has a 1.15 billion; He is the second-largest shareholder in Finnish publishing company Alma Media. He has minority stake in Kone and a majority stake in Cargotec, cargo machinery and solutions outfit. 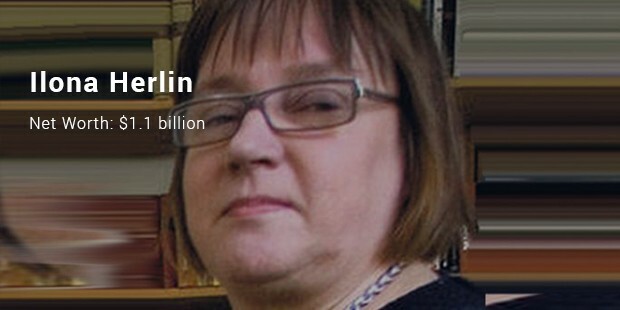 Ilona Herlin has a net worth of 1.1 billion; she has a Ph.D. from the University of Helsinki and works at the University of Helsinki as a researcher and adjunct professor in the Finnish language. She has minority stake in Kone and a majority stake in Cargotec, cargo machinery and solutions outfit. Finland has a wide-ranging prosperity and a top performer in education, economic competitiveness, civil liberties, quality of life, and human development in the world.